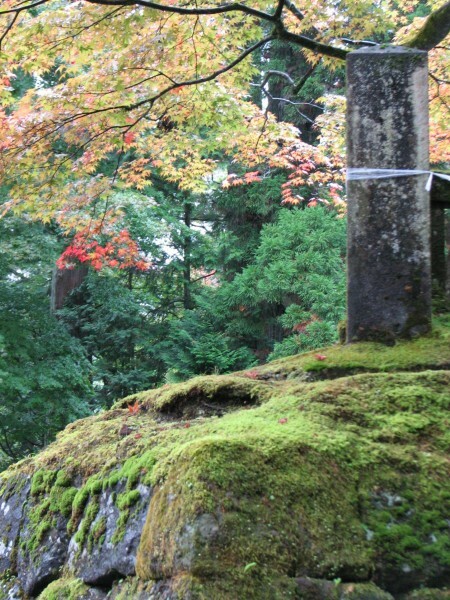 I was in Japan in October, returning to old favorites, like Nikko, Hiraizumi, and others, and to discover Ise peninsula. I started with Nikko, where I meet my wonderful guide, Ota-san. He gave me many insights, and interesting details about Nikko. Unfortunately the weather wasn't the best. Only overcast the first afternoon, but it rained the next day. At least the rain wasn't hard, and even stopped on occasion. It did give the place a certain nebulous quality, which had its charm. 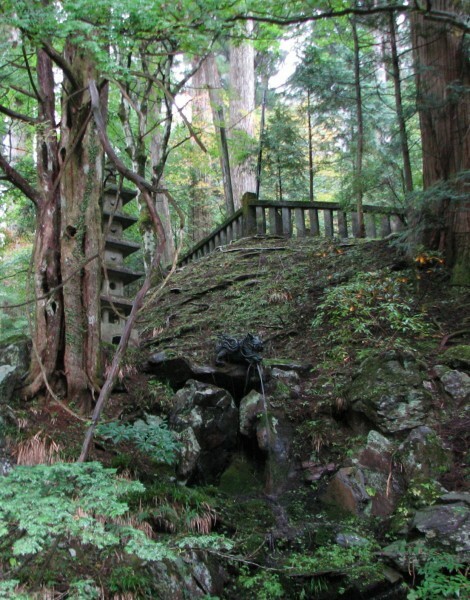 A lot of restoration has been going on at Nikko in the past few years. 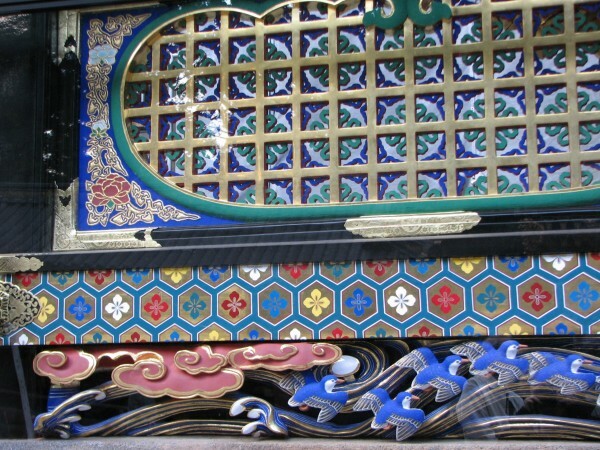 The result is that many buildings have now very vivid colorsm as they were originally. This an example of the many details that had become dark and faded over the centuries. 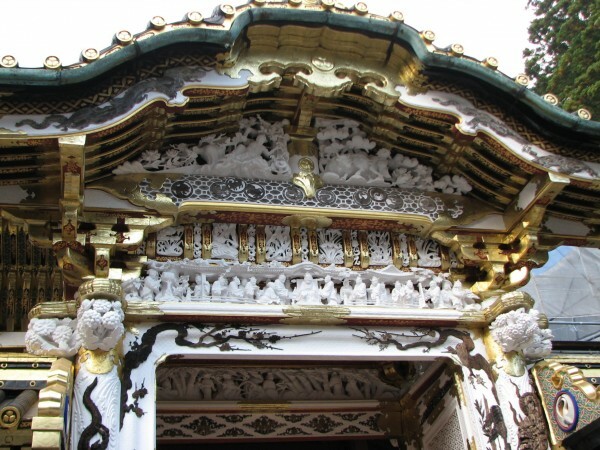 A very ornate gate with so much detail! However Nikko isn't just monuments. There is a wonderful atmosphere due in part I think to the giant cryptomeria cedar trees. Those were planted mostly 400 years ago and give a special allure to the place. The picture is a bit confused and murky. There is a tangle of vines, rocks, a miniature pagoda...But if you look carefully, you will see a bronze dragon head spouting some water. 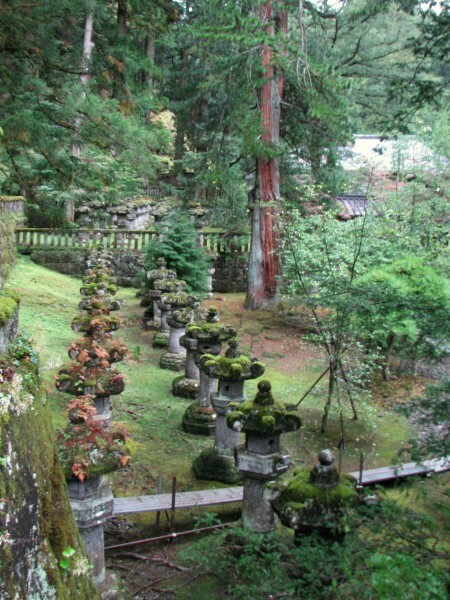 I personally really like this group of stone lanterns, some with now reddish vines, most with moss, as well as the beautiful grey and darkish red cedar in the background. After Nikko, I went on to Sendai. The city's port was almost destroyed by the tsunami, but luckily the city itself, being on higher ground, was scarcely damaged. It is a pleasant place with many trees. It has an interesting museum. The castle is just a site, though with a small park. 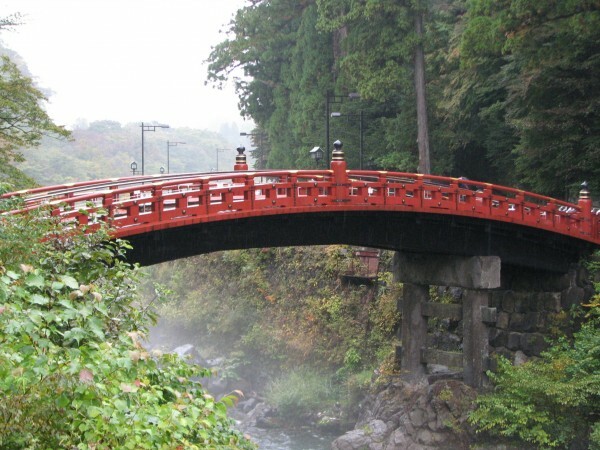 From Sendai I made day trips to Hiraizumi, one of my favorite places, and to Matsushima. I will post about this in a few days. I love the red bridge in the first photo. 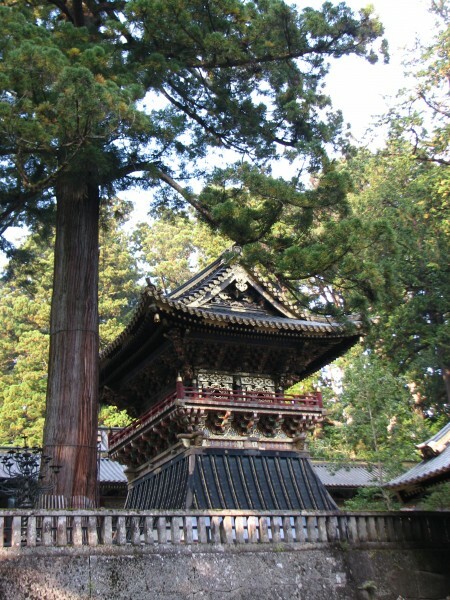 Nikko is really wonderful. I hope I can go again some time. I barely remember my trip as I went in 2007. Actually the last time I went to Sendai was also in 2007. I took a lot of pictures then, so I am afraid I took none this time and relatively few in Hiraizumi and Matsushima. It was my third visit to this last, so I have too many photos of it already! Still, I really enjoyed visiting it again.